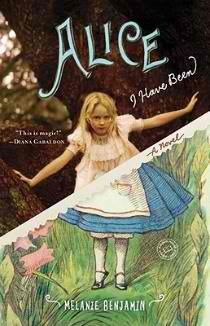 Alice I Have Been is Melanie Benjamin's debut novel and presents an historical account of the life of Alice Liddell Hargreaves -- the subject and muse of Lewis Carroll's Alice in Wonderland . Spanning the late 19th century through the early 20th century, Benjamin chronicles Alice's life from childhood during which she met Charles Dodgson (Lewis Carroll) to her late adulthood. Coming from a well-off, scholarly family, the rambunctious Alice compels Dodgson enough to inspire him to write Alice in Wonderland , which ends up more or less haunting Alice and changing her life forever. Weaved into the story of Alice's background is her alleged, intense longing for Mr. Dodgson and details behind their relationship. Alongside Alice, we witness and experience her numerous heartaches and very intense life throughout the years. Historical fiction is most fun when you read topics that truly interest and intrigue you; otherwise the experience is much like watching the movie Titanic -- you already know what's going to happen and are restlessly anxious for it to end. In this case, Alice I Have Been reminds me strongly of Neverland by Piers Dudgeon , about the family that inspired J.M. Barrie to write Peter Pan . Despite trying not to think of type-cast characters spawned from movies Finding Neverland and the newest Alice in Wonderland which BOTH featured Johnny Depp , it was hard for me not to picture the stuttering, shy Charles Dodgson as, well, Johnny Depp. Although Alice I Have Been is nicely done and beautifully written, not to mention relatively short, I found myself taking weeks to finish. It is not edge-of-your-seat gripping or completely enthralling unless you are sincerely fascinated in the history of Alice in Wonderland. Melanie Benjamin's next novel is entitled The Autobiography of Mrs. Tom Thumb , due to release July 2011.